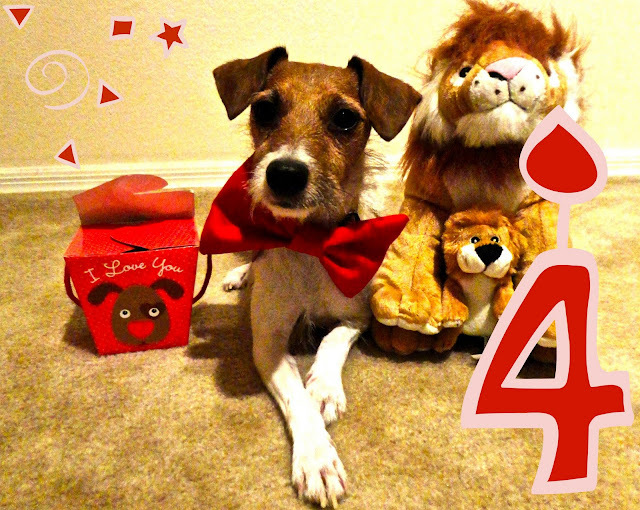 Today my very best friend turns four years old. Yup, little Charlie is growin' up. It's been an absolute blast watching her get older over the past couple years. I fall more and more in love with that little face every day. No one else can make me smile like she does. She snuggles with me, always knows when I'm down, vacuums up any food I drop while cooking, rocks a mohawk like none other, and listens to me gab on and on about my day. 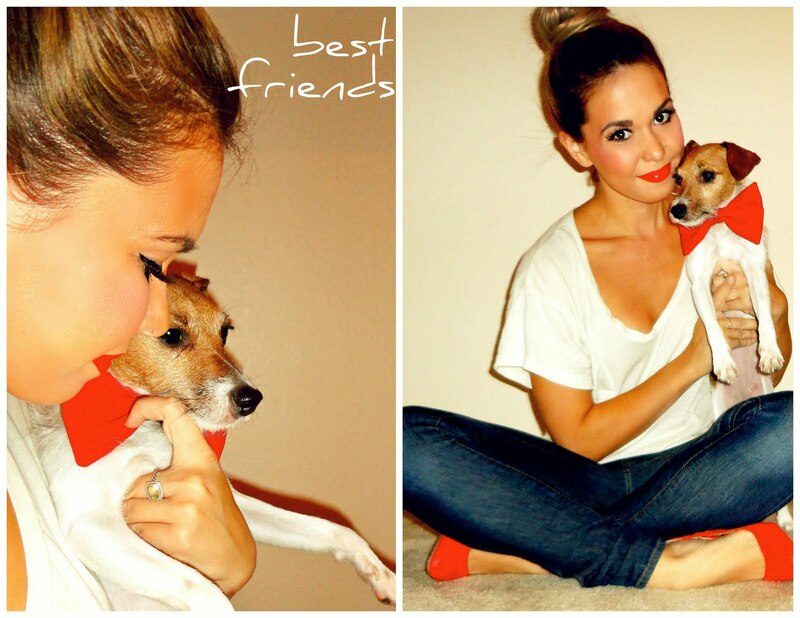 That's a pretty perfect furry friend. I usually make her a birthday hat, but this year she said she wanted something a little more grown up. My hair bow from American Apparel was to her liking. She pranced around with it all morning. When she was done being pretty, it was time to open presents. 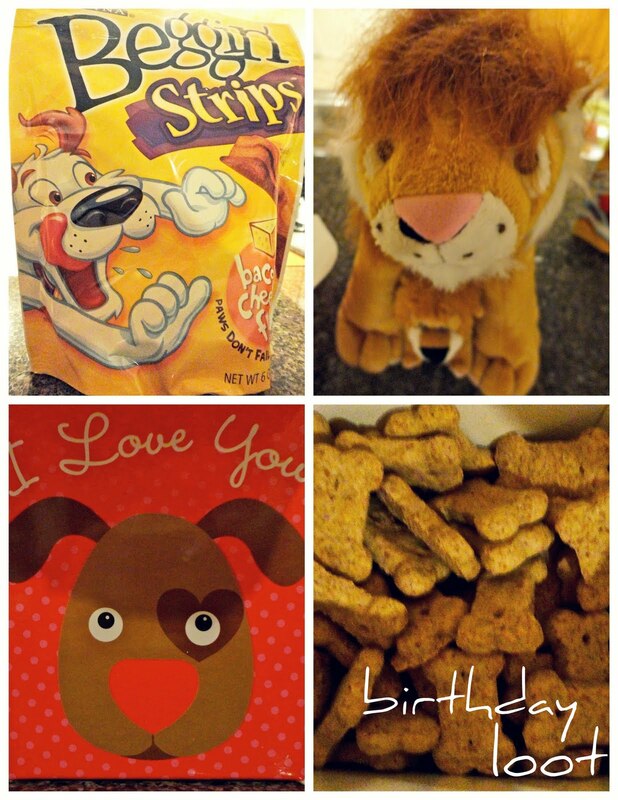 She loved her box of treats, lion stuffie, and Beggin' Strips. In a little bit she gets to go to doggy day damp to see all of her pals on her special day. 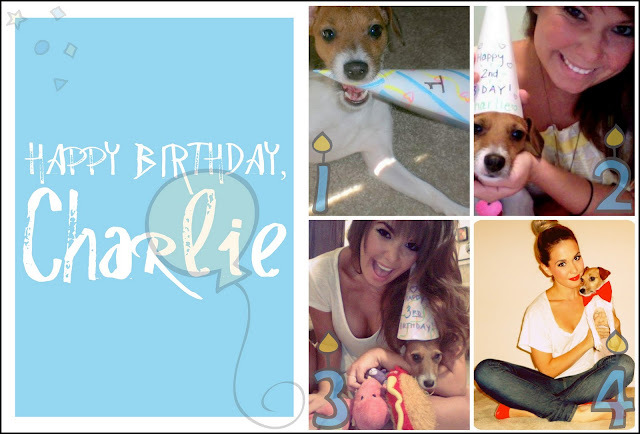 Happy Birthday, little Charlie! I love you to the moon and back. Her birthday card, featuring all her birthdays we've celebrated together.